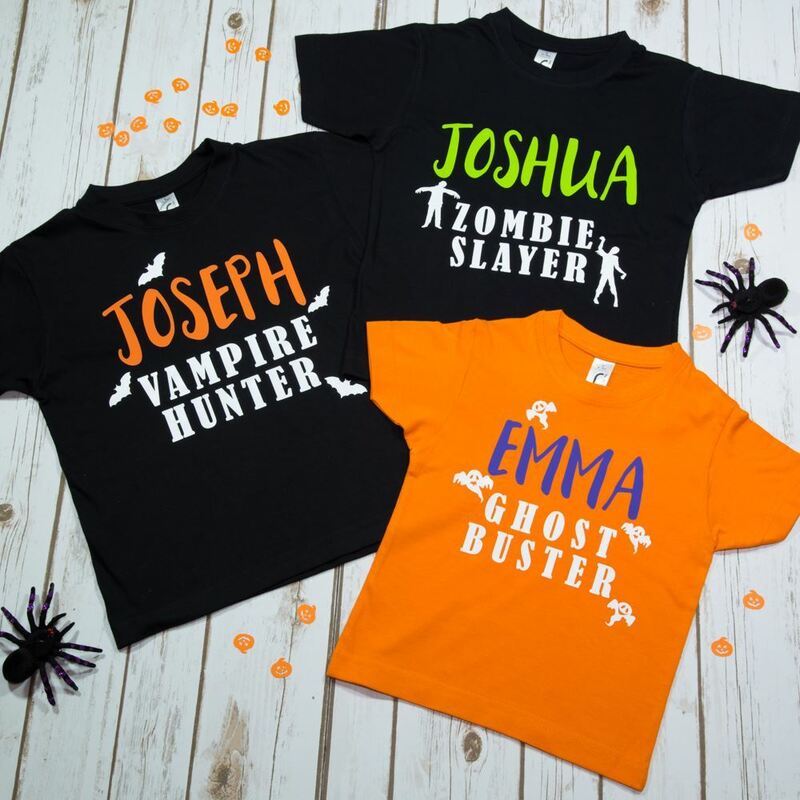 Our fun Halloween T-Shirts are the perfect costume for any party or trick or treating this Halloween. 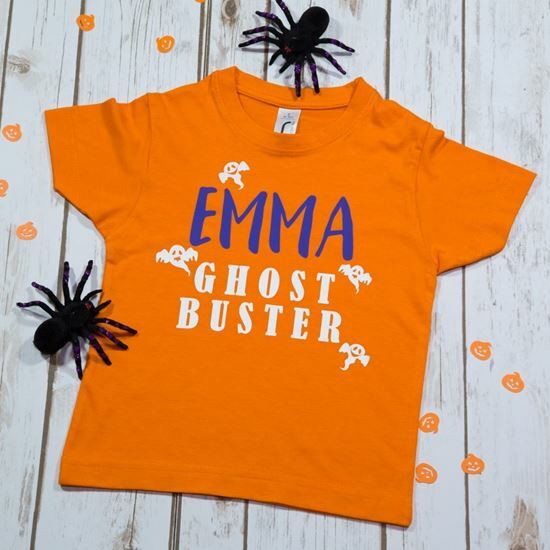 Each T-Shirt comes with the child's name and then the title "Ghost Buster" with some cute ghosts to finish off the look. So, your child can be themselves during the day and then transform into a Ghost Buster at night with our glow in the dark wording. 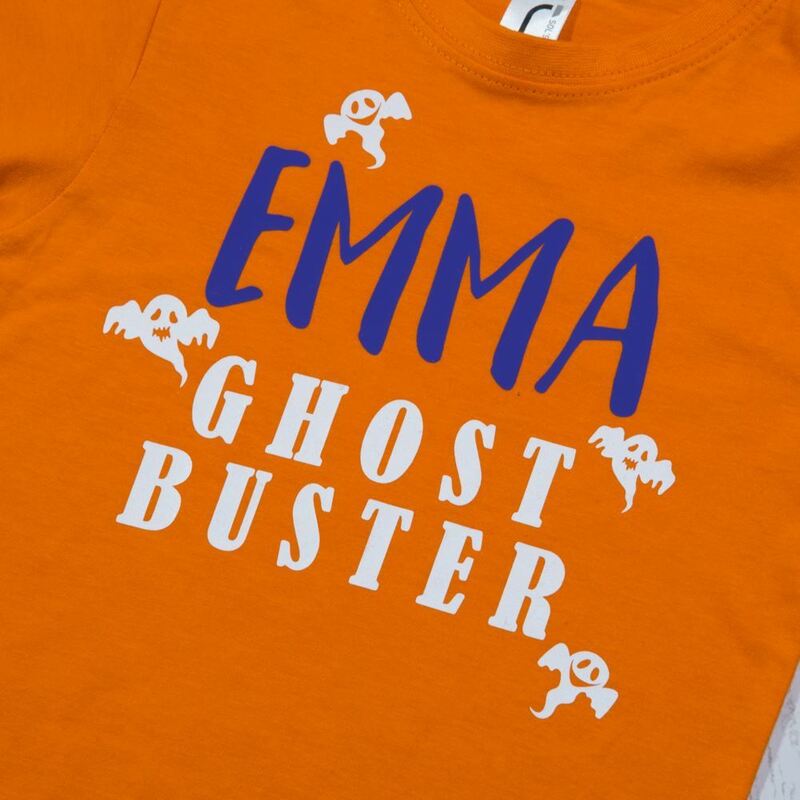 Choose from Orange or Black T-Shirts and Purple, Green or Orange for the name. 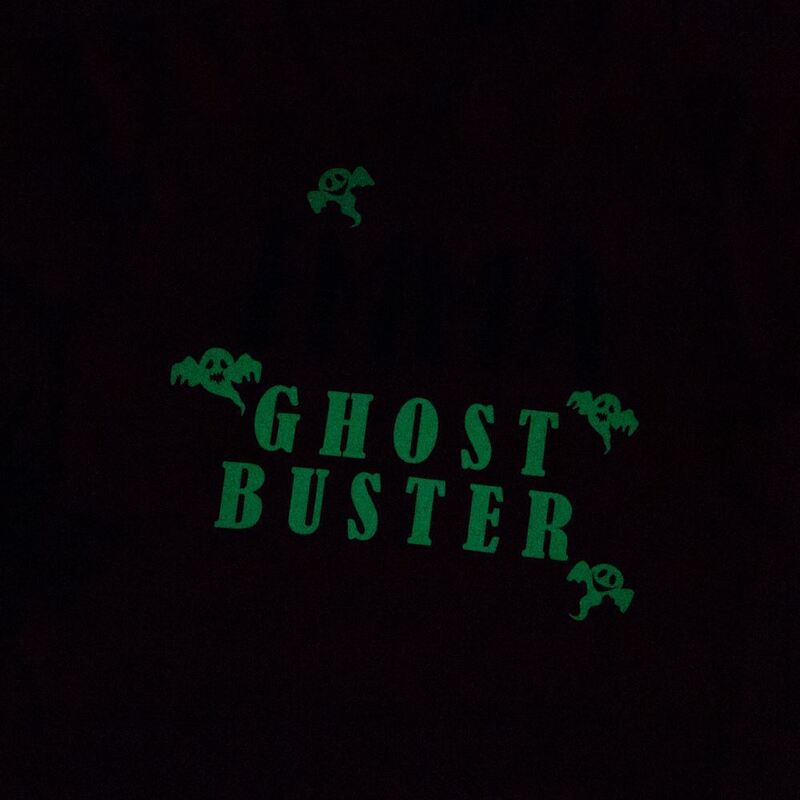 Please note the "Ghost Buster" and ghosts will be in white glow in the dark vinyl. Please take care when washing and ironing these shirts because they are made using permanent clothing vinyl which may smudge if ironed. Sizes available are 1-2YRS, 3-4YRS, 5-6YRS, 7-8YRS, 9-10YRS, 11-12YRS. Made from 100% semi-combed Ringspun cotton.